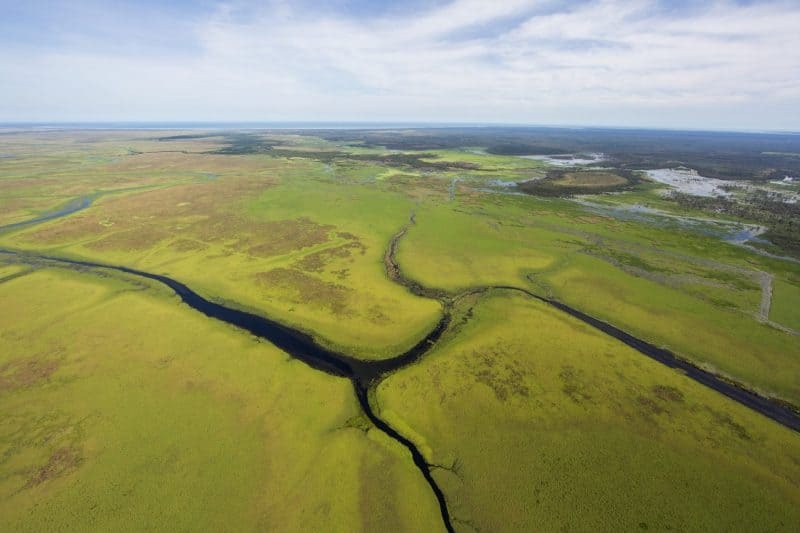 Prepare for a truly breathtaking experience as you fly to an exclusive fishing location that is only accessible by helicopter. 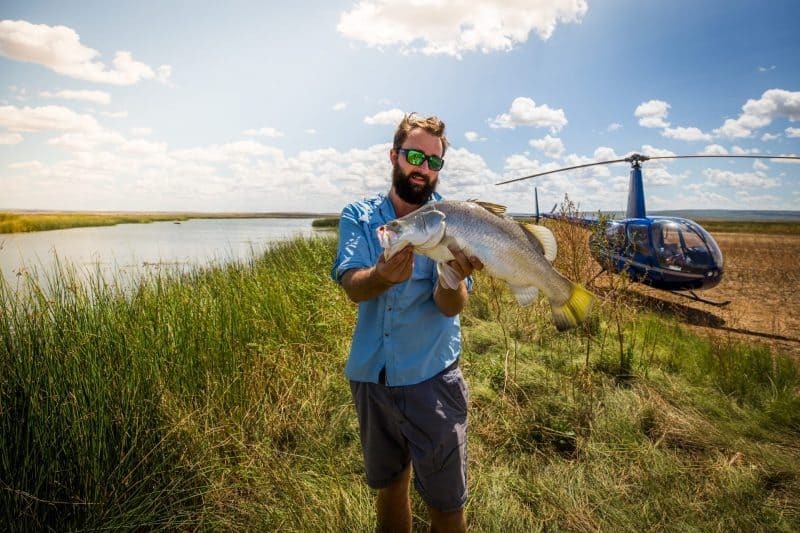 Alongside world-class fishing opportunities, this tour allows you to witness some of the most spectacular scenery that the country has to offer. 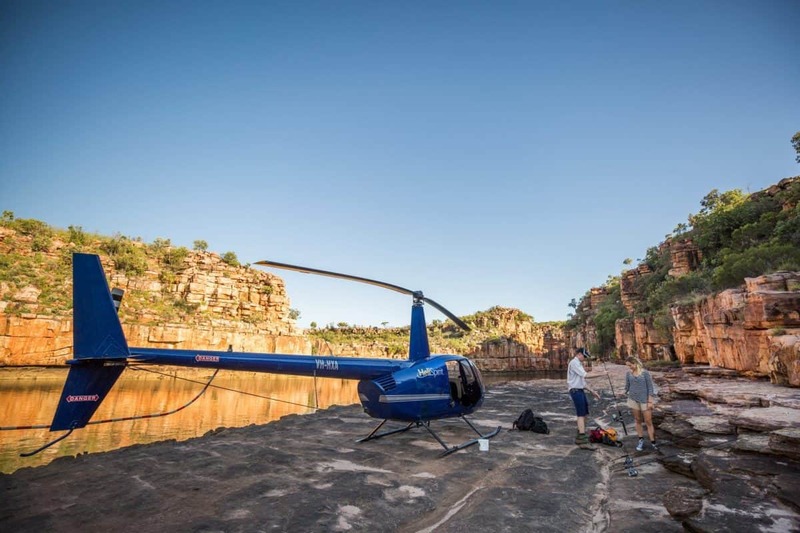 Departing from Kununurra, you will take a helicopter flight to a prime fishing location alongside your highly knowledgeable guide/pilot. 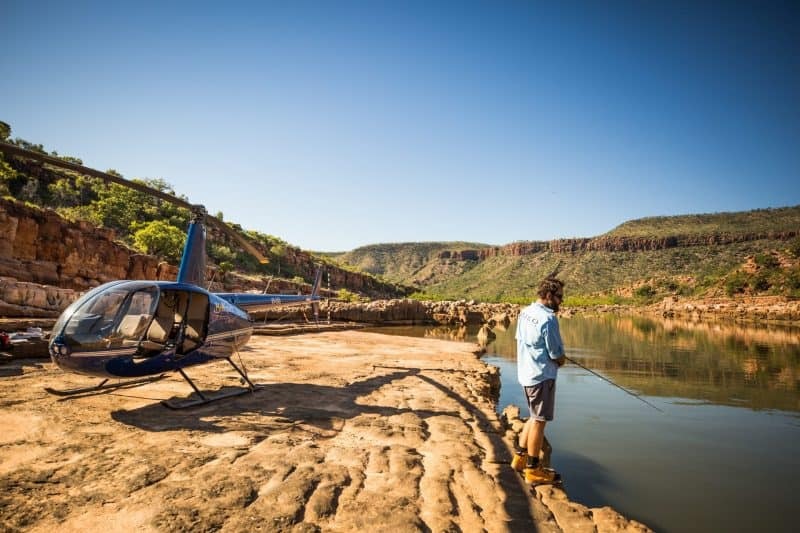 Spend the best part of the day fishing and taking in the beautiful surrounds before returning to Kununurra via helicopter. 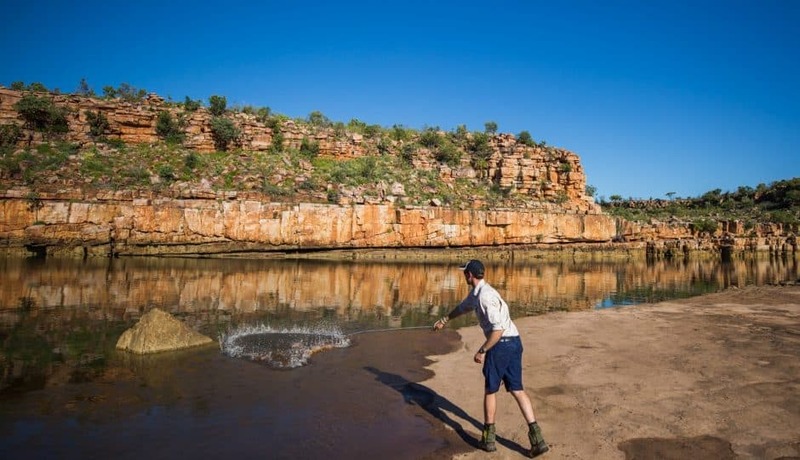 Across all of our tours, we encourage the catch and release of fish, but some locations provide an opportunity to take some fish home. 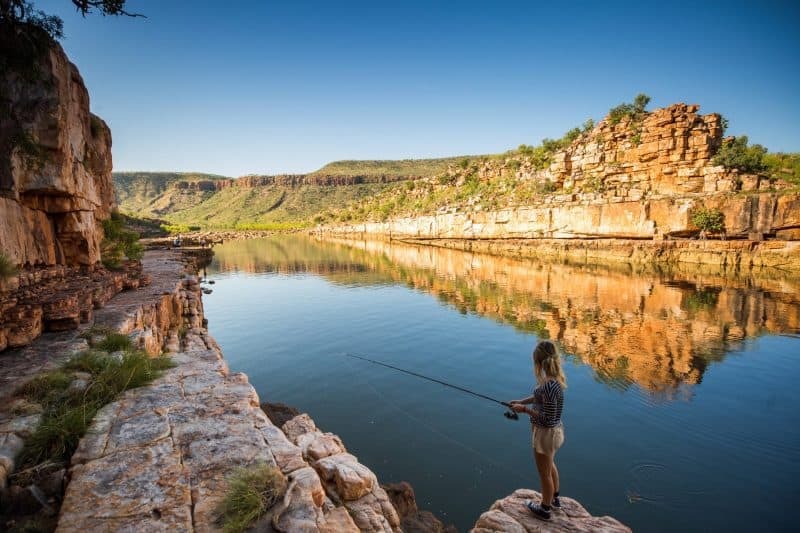 This tour includes an experienced fishing guide, quality fishing equipment, breakfast burger, and Matso’s beer. Please bring: hat, sunscreen, sturdy shoes for rocks and mud, sunglasses, refillable water bottle and sun protective clothing.